The Green Room from Google Maps in downtown Point Arena. UPDATE, 4/16/18, 6:17 a.m. -- Editor's note: When this article was initially published on April 13 the State of California's Bureau of Cannabis Control license database did not show that any license had been issued to this dispensary, nor to Green Spirit for a Mendocino County location. We downloaded said database to a computer, at that time, and have subsequently double-checked the old data (by name, location, and number) and have found no record of a license in the original data. A search today, April 16, of the same database reveals that they do now have a license. 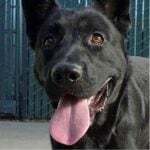 It is our working assumption that in the intervening days the database has been updated, but we have not yet had time to contact the state, or the company to verify this assumption. However, it is our belief that the transparency we endeavor to provide in the community applies to us as well, which is why we are spelling out the details of how this was reported. Here are the details of the license: As of April 16, 2018, Green Spirit Mendocino LLC has both an "adult use" and "medicinal" temporary license registered at 138 Main Street, Point Arena. The Bureau of Cannabis Control license search website says the licenses' "status date" is April 2, 2018 and will expire July 31, 2018. MENDOCINO Co., 4/13/18 — The Green Room, a cannabis dispensary based in Point Arena, has been purchased by Green Spirit Industries, a publicly traded, Puerto Rico based, company, according to a press release sent out April 5. Green Spirit operates a dispensary in Dorado, Puerto Rico, along with several others in PR, as well as one in Oregon and in the Santa Rosa area. 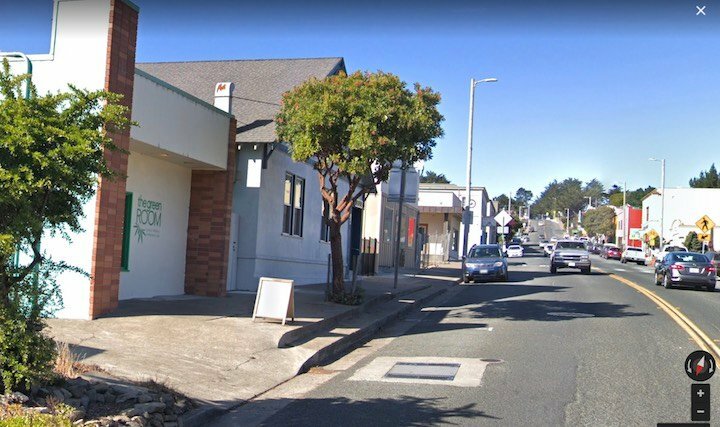 The company states that they plans to keep the Green Room, located at 138 Main Street in Point Arena, operational and also plans to expand into a delivery service and more. The Green Room currently advertises itself as offering “fifteen strains within fifteen miles of Point Arena,” and Green Spirit’s West Coast executive vice president of operations, John Grainer, said in an interview that the dispensary made an attractive purchase due to its business operations. “It was a really compliant business in the space — we kind of feel like we really bought a jewel,” said Grainer, when reached by phone in Philadelphia. 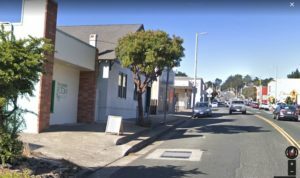 The Green Room dispensary, photo from Google Maps, in downtown Point Arena. Grainer said The Green Room offers both medical and adult use cannabis, and the the new owners will continue to work with “mostly local growers that are compliant — we’ll still be doing business with all the big accounts.” Grainer also said the The Green Room will be expanding to longer hours, seven days a week, and will also be starting a statewide delivery service this week. He said that Green Spirit would also be conducting cannabis-oriented events and doing extensive marketing. He praised Point Arena for being “very small and simple but really cool and beautiful,” and said the company would also be adding a mural to the building. A search of California’s Bureau of Cannabis Control’s cannabis license database on April 13 does show a temporary retail license that was issued for the the Green Room’s address to an Ivy Yarrow with the “coastal patients network” that was set to expire on May 5, 2018 has since been cancelled. The only other cannabis business registered by the state with the word “green” in the name in Mendocino is located on Highway 101 in Laytonville. As of April 16, As of April 16, 2018, Green Spirit Mendocino LLC has both an "adult use" and "medicinal" temporary license registered at 138 Main Street, Point Arena. The Bureau of Cannabis Control license search website says the licenses' "status date" is April 2, 2018 and will expire July 31, 2018. A Bloomberg profile of Green Spirit Industries states that it “retails packaged food products.” The company does not currently provide any information about the purchase of the Green Room on their website, but it does outline plans for a total of five dispensaries located in Puerto Rico. VP Grainer said Green Spirit is vertically integrated, from grow to retail, and is also “closing in on” two dispensaries in Oregon and operates a manufacturing company attached to a retail space in the Santa Rosa area. He noted that the company purchases real estate, is “really wellbacked with strong funding,” and is “actively looking for businesses” along the Mendocino coast. DORADO, Puerto Rico, April 05, 2018 (GLOBE NEWSWIRE) -- Green Spirit Industries Inc. (OTCPink:GSRX) (“Green Spirit” or, the “Company”) announced today that it has acquired The Green Room, a cannabis dispensary business located at 138 Main Street in Point Arena, Mendocino County, California. The business is licensed under the name Green Spirit Mendocino, LLC, and will continue to do business as The Green Room. According to a state-sponsored study published in the Los Angeles Times in June of 2017 by the University of California Agricultural Issues Center (Legal marijuana could be a $5-billion boon to California's economy), existing medical cannabis sales were $2 billion per year (approximately 25% of total cannabis sales), with the rest representing sales in the illegal market of approximately $5.7 billion. The study also suggested that beginning in 2018, the state’s tourism industry is expected to boom as visitors pour in from other states and countries that do not allow the sale and use of cannabis, citing estimated sales of $7.2 billion a year of wine to tourists visiting California. During the first quarter of 2018, Green Spirit announced its entry into California’s cultivation and extraction business via a joint venture with Sunset Connect SF Inc. (Sunset Connect Joint Venture), as well as its acquisition of a majority stake in California-based cannabinoid products manufacturer Spirulinex, LLC (Spirulinex Acquisition).